We are proud to display the awards our site has won. 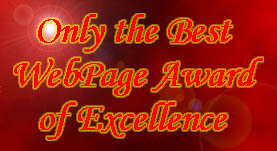 It has been a challenge putting this page on the net in our spare time, and we are ecstatic we have won any. The list is short now, but we hope it will grow in the near future.